Singh movers are the leading Removalists Manor Lakes who has a team of professional movers specialized in home removal, furniture removal, office removal etc. We offer our clients with the cheap prices compared to the competitors because our staff and the fit team members are professionally trained and we use the types of equipment in order to carry the move in a professional and secure way. Doing this helps in saving the time with zero damage to the items. Our employees are trained well and your furniture is packed well with the professional loading of the stuff. 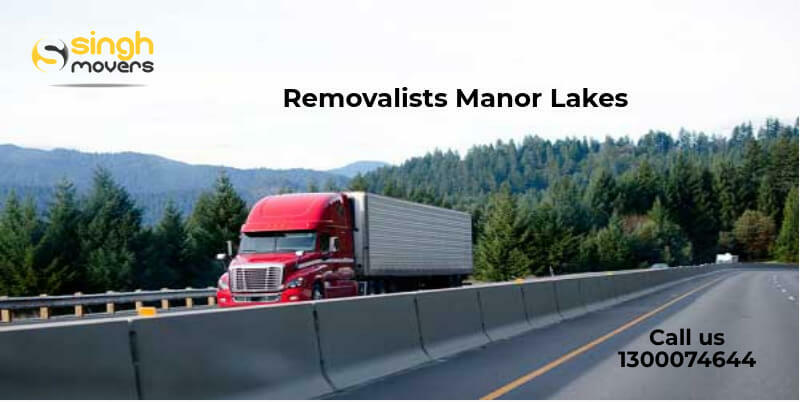 Furniture Removalists Manor Lakes offers you with low-cost professional services. It is best to hire a professional Furniture Removals company who provides the Furniture Movers by the best Removalists Manor Lakes. A company having hands-on experience in planning the entire furniture removal and relocation process is the best. We have a dedicated team who has been giving the specialized training on packing and organizing the removed furniture to the new desired location. Furniture removal is a very boring task and it needs to be done with sufficient knowledge and experience. We are specialized in carrying the moves. We plan and schedule according to the client. We make the proper checklist of the materials we plan to pack. Listing up all the furniture which needs to be shifted is a good point. We proudly boast of being able to render the clients with the quality Furniture Removals services. We have a wide network of services as we serve our clients with expertise and a safe and secure move. The packaging of the stuff and delivering it one time is the main key factor of a successful Furniture Removals. Working for the clients and providing them the successful Furniture Removals is the main motive of the company of SINGH MOVERS. We have a fit team which is having years of professional knowledge and will pack each and every stuff in a way that we ensure you with the zero damage to the products. From designer and beautiful furniture to the valuable unique items, our Friendly Moving Men will pack your stuff using the specifically designed packaging materials and protect all the stuff in transit. Thus, avoiding any type of crisis while shifting. To ensure you with all the details of the move, we make a checklist before in order to inform you of all type of information regarding the Furniture Removals. Our Budget Friendly Furniture Removal Services team has the caliber, fit team members, knowledge, and experience and networks to ensure your move is smooth and budget friendly. We are the AUSTRALIA wide Furniture Removalists covering both the capital and regional locations to ensure our customers with the satisfying work. We endow you with the service of door-to-door shifting with the proper packing of stuff and also the Furniture removals Services within AUSTRALIA. We have the caliber of expertly delivering you all the treasures from anywhere in the whole of Australia. Moving from one place to the other is not meant to be stressful if Singh movers highly trained experts are there to assist you with your removal. Our success has its name in the list of top Furniture Removal Service Providers from more than 10 years. We have already helped many Australians in their move and have received countless clients’ service awards. Now after you hire us it is our responsibility to endow you with the fast service. We take up time according to our client and provide them with all the material safely delivered to their new location on the given time. We are ready to get compared with any other company in terms of prices as we provide you with the best possible price that won’t let anyone’s pocket bear heavy budget. We know your requirements and have set the prices accordingly so that it won’t lay heavy on your budget. As there are many clients who do not want to get shifted their all material and ask many times for the storage facility. To solve you’re this problem too, we, Singh movers, endow you with the quality storage facility along with the CCTV SURVEILLANCE. You need not to worry for your any material as the surveillance is taken care 24 hours till the time you keep the stuff with us. Hence, we have provided you with all types of services and you do not need to worry at any stage of the Furniture Movers. With Singh movers, you will be ensured fully with a stress-free Furniture Movers. Hire us by a call, a mail or book an assignation online. Contact our customer care executives in order to know all the details regarding the Furniture Movers. Manor lakes is a suburb of Melbourne, Victoria, Australia. Its local government area is the city of Wyndham. The postcode of this place is 3024.